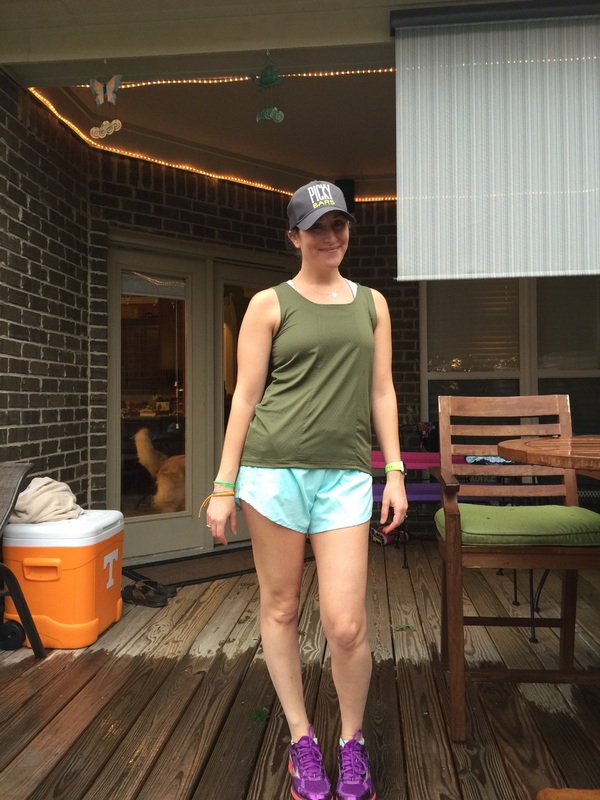 Oiselle Wednesday: Flowy Tank — MommiesRun. I might be a member of the Oiselle Volee Team, but I've been wearing Oiselle (pronounced Wa-Zelle) for several years now. 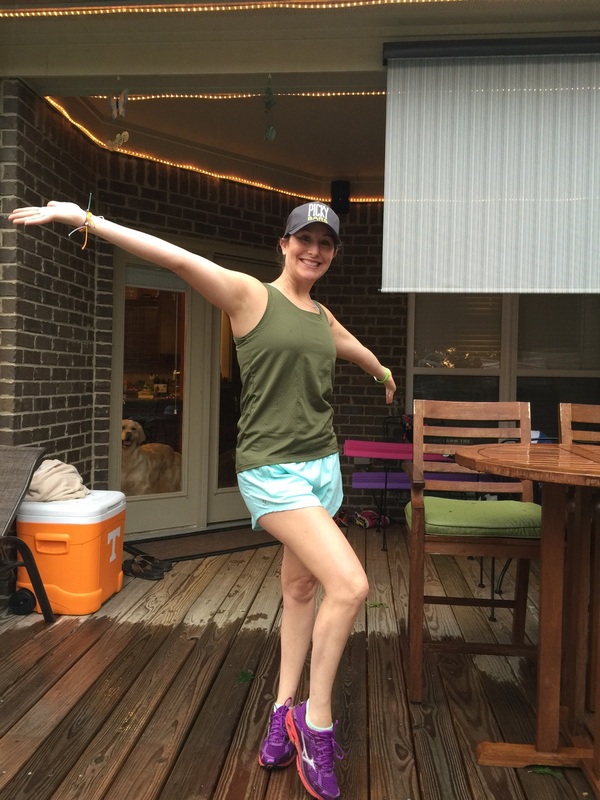 Oiselle is a company with a mission I believe in, and running clothes that help me believe in myself. 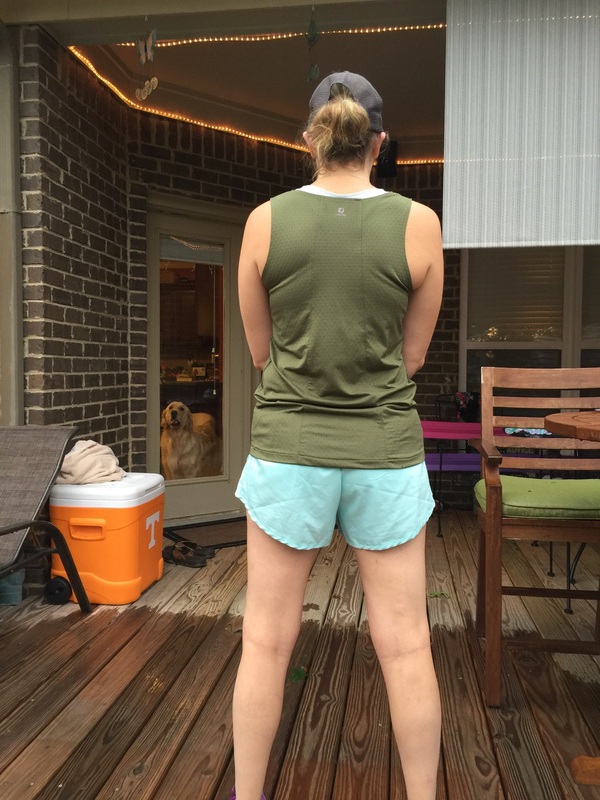 Oiselle Wednesday is a day for reviewing my favorite running fashions and showing you the fit on a 5'7, 130 pound Mommy-body! I know I know, it's been a few weeks and you're all dying for information on what to purchase next from Oiselle! Well, I'm here to tell you the Flowy Tank is the shiz. First, I want to talk about this color which is called Money. I'm obsessed. I was kind of wary at first thinking it might be dull, because I normally love bright colors. But it is gorgeous. It looks so pretty with my personal favorite Pop, as well as Sky, which I've paired it with here. 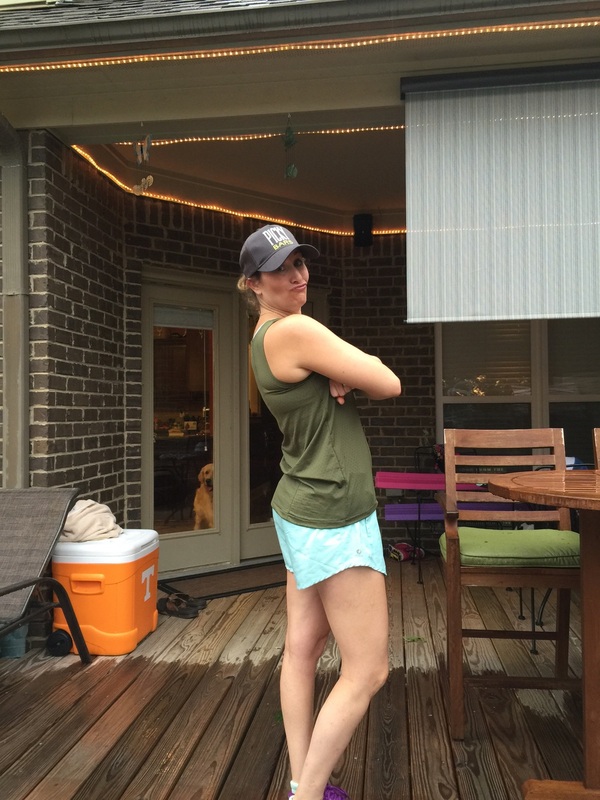 The material is, like all of Oiselle's stuff, super soft and extremely wicking. The first time I ran in it the humidity level was at about 1368% and it was so effective at absorbing my sweat. The tank is so light that you barely feel like you are wearing anything. I love the style of the Flowy Tank because I really don't have any other running tops in this style. The coverage is excellent, hitting at a great length in the front and just the slightest bit longer in the back. There is a very discreet geometric pattern embossed in the material giving it some added flair. I haven't done it yet, but with the shape of the Flowy Tank, you could easily take it from running to life. It is not sheer so no worries about it being see through, and it would pair gorgeously with jeans or regular shorts. As far as sizing I got a 6, which I feel is perfect. Being that it is called "Flowy", you clearly want it to have some room and for me, the 4 would take away that characteristic. Of course my back padding might be less visible if I went up to an 8 but I don't have time to worry about such nonsense. Love your bodies, ladies! At $40, the Flowy tank is totally worth it. I've been super close to hitting "add to cart" on the Punch color, but I choose to buy different things so I can review them for YOU. You're welcome. But for real, I think this tank should be a staple in your running wardrobe.